For some people, there is really nothing better than a night out at the theatre. And luckily for those living in Toronto, they have the third largest theatre community in the entire world right in their backyard not to mention just about every other amenity a big city can offer. On most nights, you could go see a show as big and bold as those on Broadway or enjoy quiet works in a more intimate setting. It does not matter what type of entertainment you enjoy, in a city as diverse as Toronto you will find it! 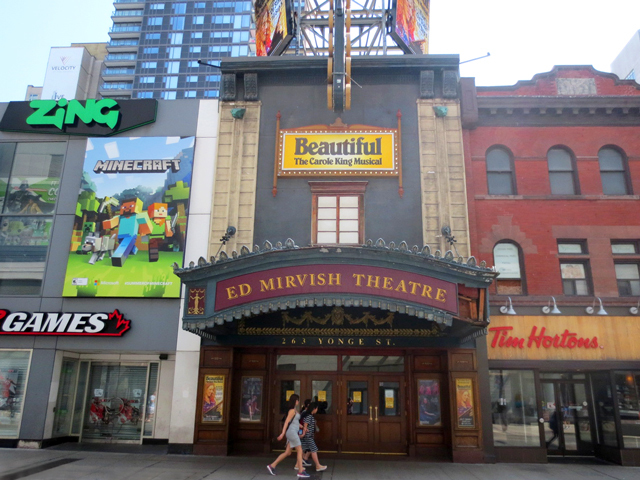 The biggest commercial theatre company is Canada is Mirvish Productions and they run four different theatres in the downtown core. In the Entertainment District, right around several condos, Toronto residents can visit the Royal Alexander Theatre or the Princess of Wales. On Yonge Street are the Canon Theatre and the Panasonic Theatre. All of these venues are doing professional shows and are usually touring international companies of recent Broadway hits or Canadian casts of the same sort of shows. While Mirvish may be the biggest, they are not the only company that is doing big musicals and more large-scale shows in Toronto. DanCap Productions works mostly with the Toronto Centre for the Arts in the north part of downtown and with the Four Seasons Centre. The Four Seasons Centre is also the home of the Canadian Opera Company and the National Ballet and if you're looking for a cultured night out, this is where you might find it. There are several different theatre companies that run winter seasons in Toronto each year and most of them do a combination of Canadian plays and more classic works. CanStage operates two theatres along Front Street while Bathurst is known as being a theatre district thanks to the presence of Passe Muraille, Tarragon Theatre, and Factory Theatre. Soulpepper concentrates on more classic works while you can see Shakespeare in the Park in the summer near High Park. And then there are a few theatres that have shows from a variety of different companies. You can see larger productions and musical acts at places like Massey Hall, Roy Thompson Hall and the Air Canada Centre. There are also things happening all the time at the Elgin Winter Garden Theatre, the St Lawrence Centre for the Arts, and the Bathurst Street Theatre. Whether you're living in Toronto or just in town for the weekend, you should certainly check out what's happening in the local theatre community.